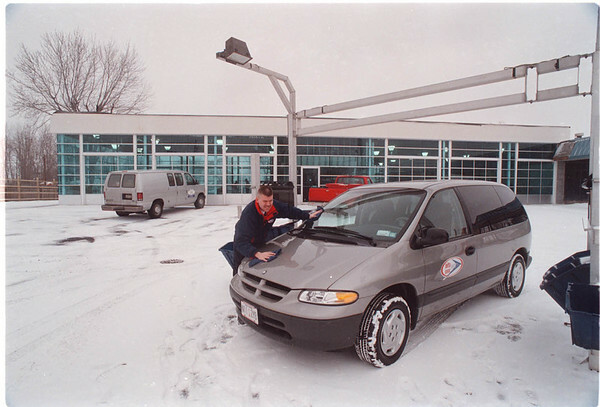 2/12/97 Delta Sonic - James Neiss Photo - Scott Holmes, director of FastLube at the NF Delta Sonic Car Wash drys off his vehical. Just behind him the new Sonic Lube and Detail Shop is still under construction at their NF location. On Niagara Falls Blvd.